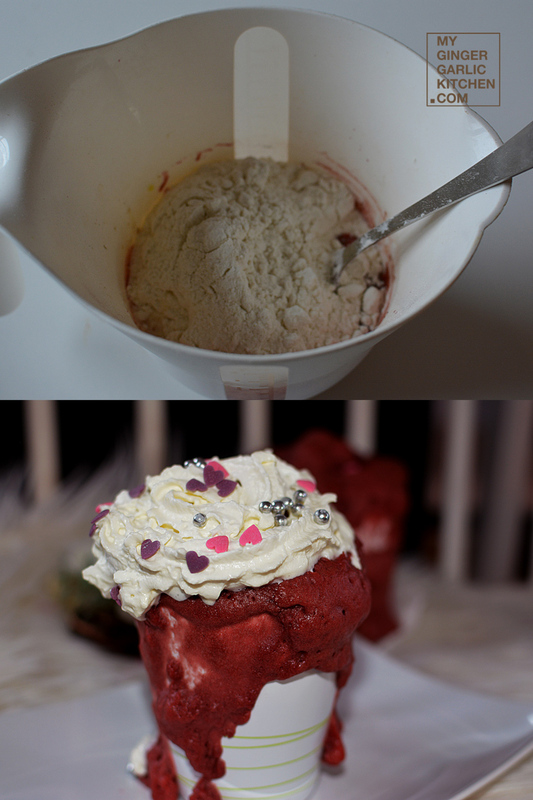 I made this superbly addictive Red Velvet Mug Cake, and it was super awesome!! I could say that this holiday season this is the best dish ever. I am so gleaming with joy over it, and I really don’t have enough words to express. Yes! This is the christmas spirit taking hold, and no matter how much you make, nothing is enough for a holiday season. I also made this two months back, and decided to share this then — when I was dreaming about Christmas, as it was so bright in color, quick to cook, and delicious too. 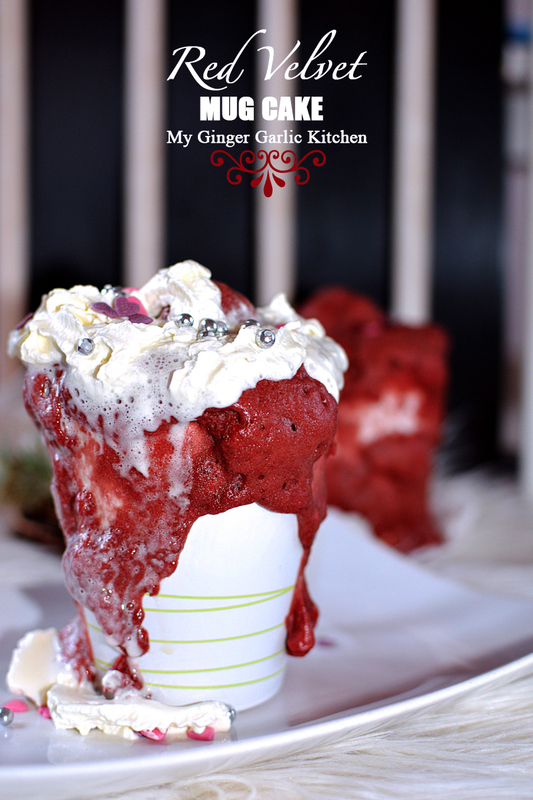 Let me tell you all about this red velvet mug cake. Whoa! 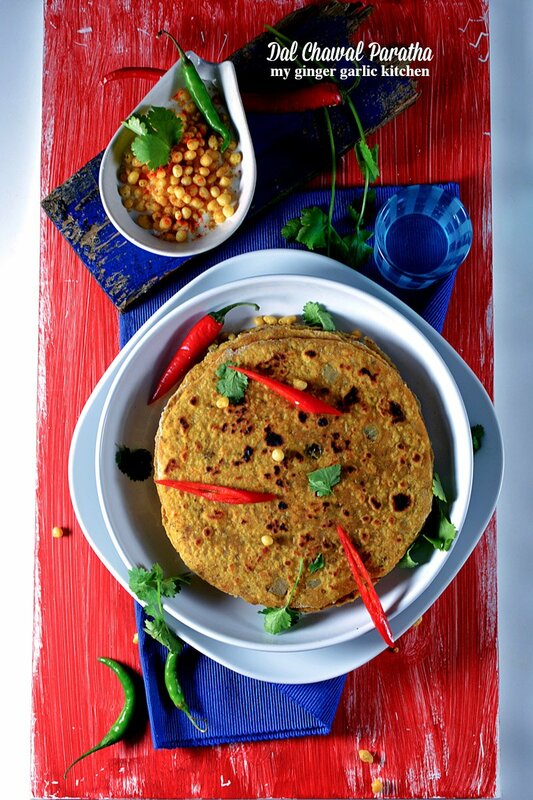 This is really superfast, and would require very less ingredients which are probably lying in your kitchen racks. 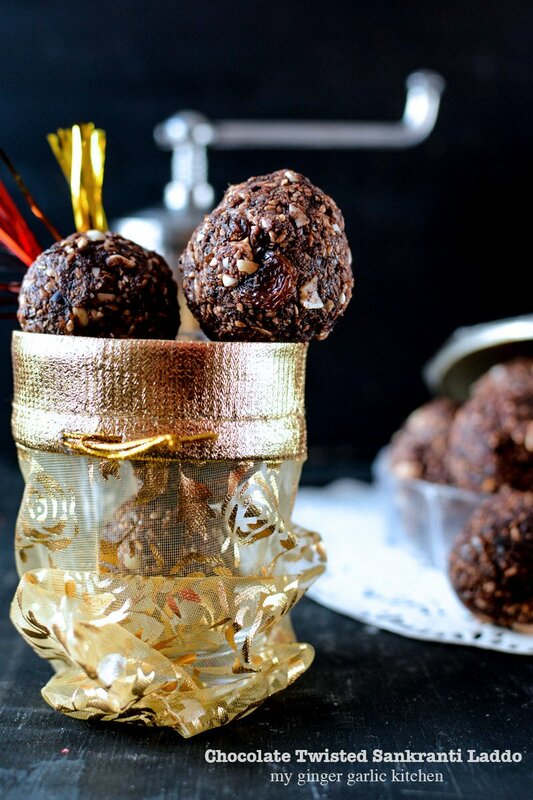 Added cocoa flavour is just a plus, and using Chocolate is always the way to go. 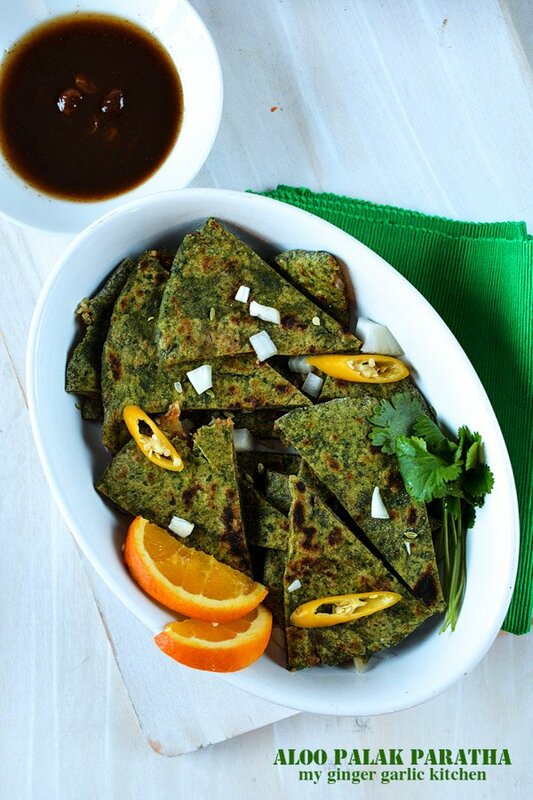 This is just as simple as any other recipe could be. Smells incredible too! I know you want to say it too. When you have it with steaming hot cup of coffee, this feels like HEAVEN. Regardless of your age, you will just love it. Doesn’t that sound so angelic? This honestly, could not be more perfect. 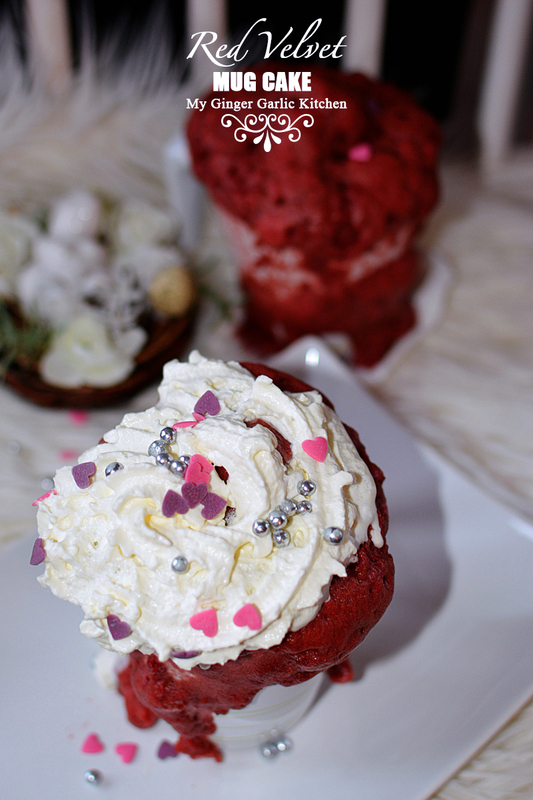 Add your favorite toppings on top, and you are ready for this warm treat for snowy winter. This mug cake is warm, creamy, and perfectly sweet. I am telling you, this is so awesomely good. 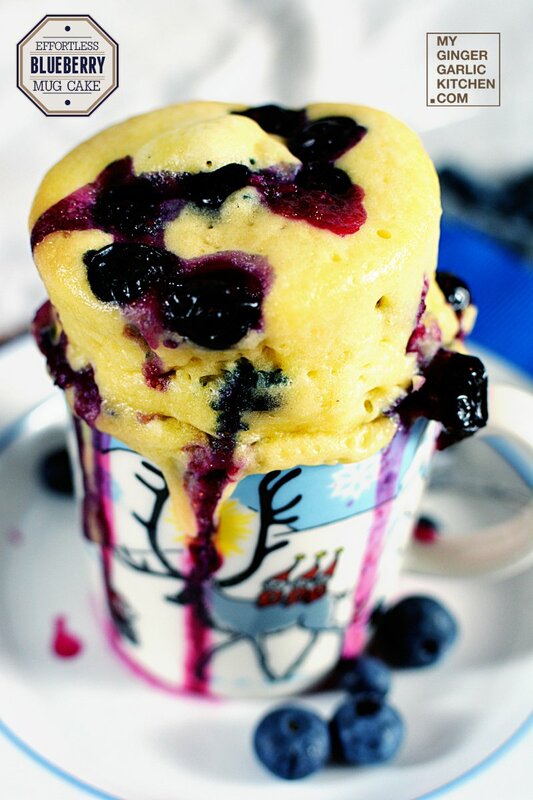 So when you are planning to make this delish mug cake, make it on a chilly day. Trust me, you would not regret eating too much. I am insisting cold weather, because it would make it as magical as it could. A giant mug of HOT COFFEE or HOT CHOCOLATE, and beautiful calming music — that is all you need to make it comfy and cosy. You are free to use your favorite topping and decoratives. That’s always the fun part! 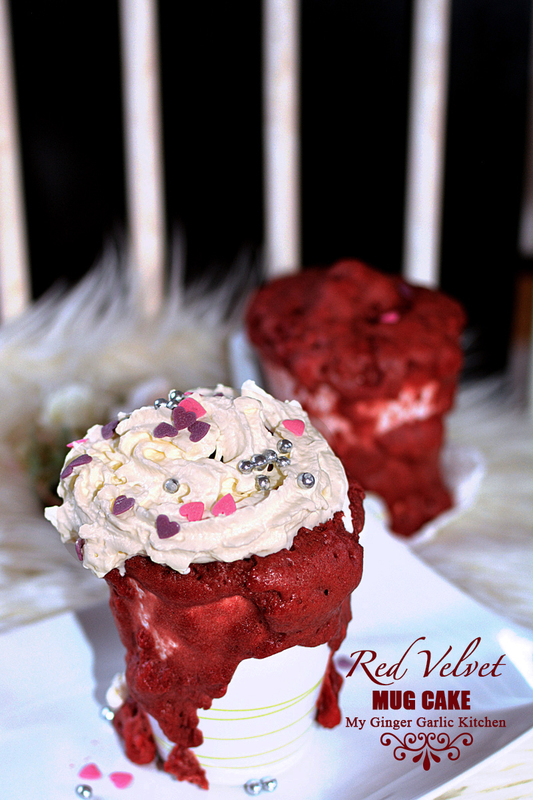 Relax with warm Red Velvet Mug Cake and Hot Coffee! Take a jar. 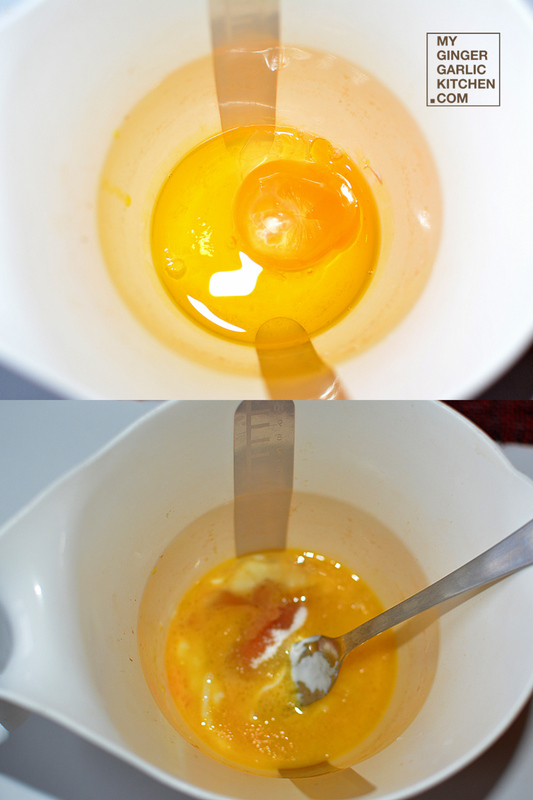 Add egg, oil, and whisk together with a fork. Stir in the, buttermilk, vanilla, and sugar. 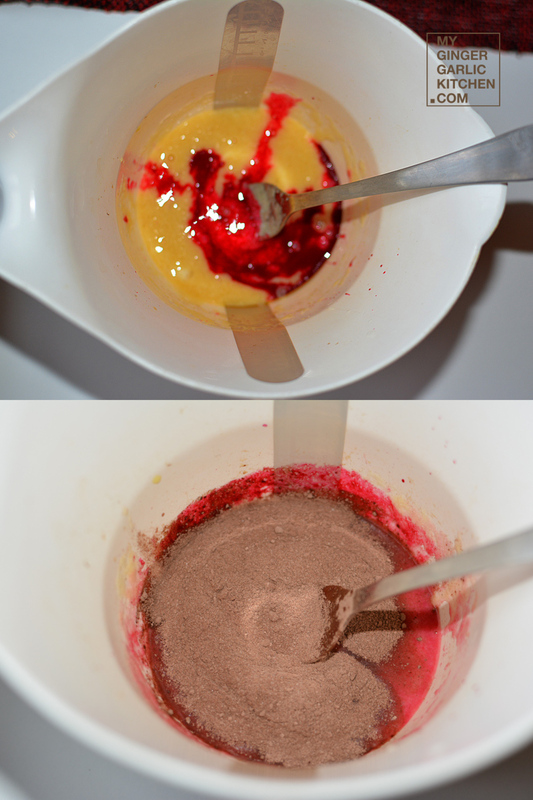 Add red food coloring and mix well. Now add the cocoa, salt, and vinegar. Mix well, and add flour. Beat the batter until smooth. Microwave separately for 2 1⁄2 to 3 minutes each until risen and firm. 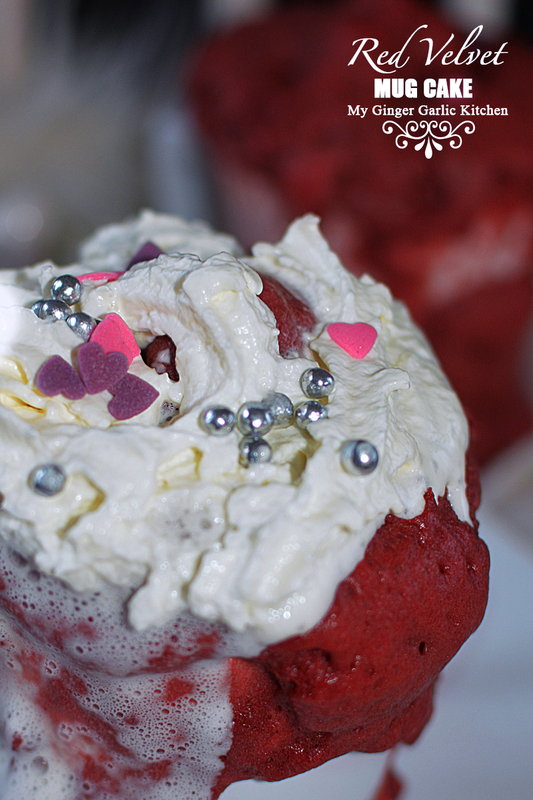 Top with whipping cream, and decorate with sprinkles.